Overview:Most of the reviews indicate the mattress is hard. It's hard...which also means it's durable and not a bag of mush. The quality of the product is uncommon for a $99 mattress, and it's construction will last. Great kids mattress (for our daughter), great spare room mattress. Obviously for the money, not something you'd buy for a master bedroom, but for a guest or everday mattress for a twin, it's an excellent buy, and higher quality than others found here or at other online retailers.Shipping:The site to store option is quick, and the mattress arrives in a sturdy plastic wrapper and light enough to carry out of the store without a cart.Construction:The covering is durable and not flimsy, and the core is firm (not cardboard hard). Don't think of packing styrofoam, think of very firm memory foam, kinda spongy but not like the kind you can break apart easily (that's the core) covered with a softer outer fabric. It will conform to your body slightly, but not like a coil spring mattress of all foam mattress.Conclusion:We searched for several mattress, at Walmart and at other online and local retailers, and found most beds (we only needed a top mattress) came with cheap 'box' springs (cardboard over frame covered in cloth) and foamy flimsy top mattresses covered in inferior cloth or patterns that looked like they belonged in the wild west. Most were $150 and up. This product has a nice outer fabric that is not out-dated in appearance, and although the core is much firmer than a spring mattress, exceeds our expectations in a price to value comparison. It's firmness can be compensated for with a pillow top foam accessory, and even with that added expense if desired, still creates a better, higher quality result than other products we looked at. Home territory searches the web to find the best prices and availability on Mattresses and related products foir your home like Dorel Home Thermo-Bonded Polyester Core Mattress, Twin. For this page, related items include products we find that match the following keywords: "Mattress" at our vendor partner Walmart - Click More Info / Buy Now to check for price rollbacks!. 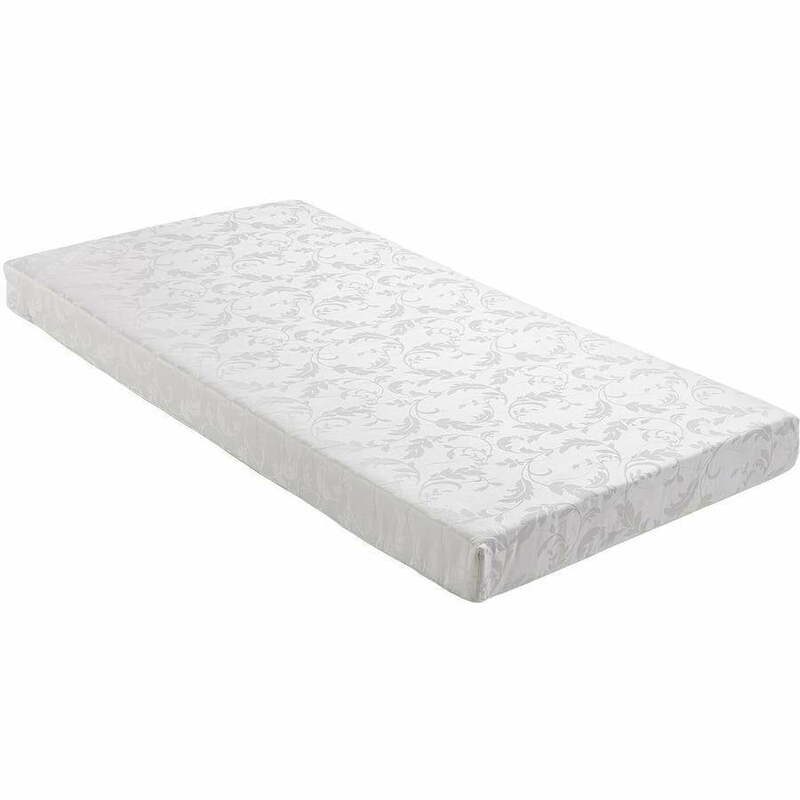 Dorel Home Thermo-Bonded Polyester Core Mattress, Twin is one of 123 Mattresses and related products available for sale through HomeTerritory.com, If you have any questions on this product, please give us a call at 734-971-1210 during the hours of 9am - 5pm EST for assistance. Thank you for shopping at Home Territory, the home furnishings superstore!